The FAKRO EHA-A high profile flashing is ideal for fitting skylights with roof coverings such as high profiled metal sheeting and roof tiles. 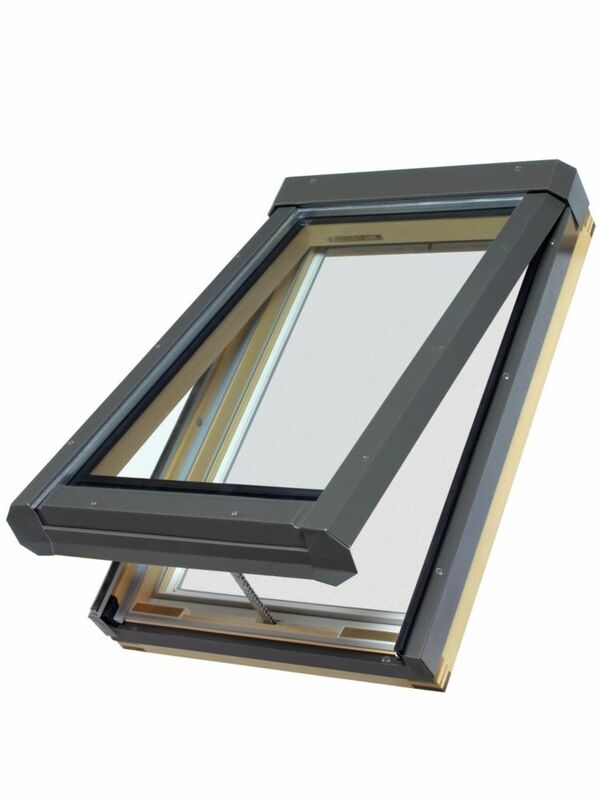 It can be installed with roof coverings with a high profile depth of up to 90mm. Compatible with Fakro manually vented (FV), and electrically vented (FVE) skylights of the same size. For slated roof material (10mm) such as asphalt shingles, see FAKRO EL flashing. Create your own custom-look entryway with a new steel cut-out entry door by Masonite . Manufactured to accept a standard 22 inch x 36 inch glass insert, allowing you to upgrade your door and re-use your existing glass or choose from our easy-to-install in-stock or special order glass styles and create the custom door you want. Our high-quality steel entry door is sure to suit your design and performance requirements. The high-definition panel profile provides excellent shadow lines, creating outstanding panel definition. This unit also comes with a durable pre-finished white vinyl cladded frame. For added value this door is insulated with a polyurethane core, providing an energy efficient entry system recognized by ENERGY STAR . This unit comes double bored making it ready to accept a lock set and deadbolt and has been factory primed, ready to install. Vinyl cladding has been added to door jambs for additional protection from the elements. Masonite HD steel offers superior strength combined with the elegance of decorative glass in the Brant 1/2 Lite Steel Entry Door. The glass design enhances both the appearance and value of your home without compromising security or privacy. Durable high-definition panels offer excellent shadow lines for added architectural interest. Ready to customize and paint, the baked-on primer helps create a durable, smooth finish. 32-inch x 55-inch FVE Electric Vented Skylight - ENERGY STAR® Fakro electrically vented skylights are a great way to brighten up almost any room in your home while providing the option of circulating fresh air. This ENERGY STAR deck mounted skylight features bracket-free, one-person installation suitable for roof pitches between 15 to 85 degrees. A perimeter seal lines the solid wooden frame providing a "warmer" roof boarding-skylight frame joint. Once in the rough opening screws (included) secure the skylight to the roof deck, followed by your trusted brand of water and ice shield (sold separately) and finished with Fakro step or high profile flashing (sold separately). The single chamber glass panes are filled with argon gas and feature a Low-E coating to help filter UV rays. A mosquito screen, remote control, external rain sensor, template for cutting the rough opening, and installation hardware is included. Blinds and other Fakro accessories are available.